Italian Renaissance painting is the painting of the period from the early 15th to mid 16th centuries occurring within the area of present-day Italy, which was that time divided into many political areas. The painters of Renaissance Italy, although often attached to particular courts and with loyalties to particular towns, nonetheless wandered the length and breadth of Italy, often occupying a diplomatic status and disseminating both artistic and philosophical ideas. The city that is renowned as the birthplace of the Renaissance and in particular, Renaissance painting, is Florence. A detailed background is given in the companion articles Renaissance and Renaissance architecture. The Proto-Renaissance begins with the professional life of the painter Giotto and includes Taddeo Gaddi, Orcagna and Altichiero. The Early Renaissance was marked by the work of Masaccio, Fra Angelico, Uccello, Piero della Francesca and Verrocchio. 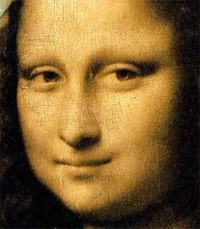 The High Renaissance period was that of Leonardo da Vinci, Michelangelo and Raphael. The Mannerist period included Andrea del Sarto, Pontormo and Tintoretto. Mannerism is dealt with in a separate article. Unless indicated otherwise, the text in this article is either based on Wikipedia article "Italian Renaissance painting" or another language Wikipedia page thereof used under the terms of the GNU Free Documentation License; or on original research by Jahsonic and friends. See Art and Popular Culture's copyright notice. This page was last modified 07:35, 11 March 2014.